Shop at the South Points Farmers Market September 3 | Joe Hayden Real Estate Team - Your Real Estate Experts! Grab your favorite canvas shopping bags and head to Taylor Boulevard this September to stock up on the freshest ingredients from local farmers. 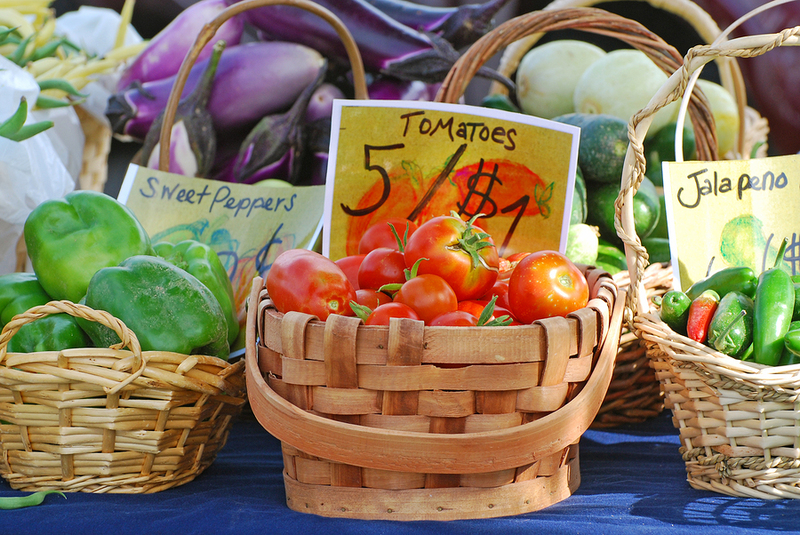 Go shop at the South Points Farmers Market, and go enjoy a day out and about in a pretty parkside community. The South Points Farmers Market is a little bit different every time it pops up in the Hazelwood Shopping Center on Taylor Boulevard, but it always has a great selection of the freshest produce, fruits and meats. Several Louisville-area farmers set up here to display their fresh-grown goods, so you get access to the best local food. Look for the South Points Farmers Market at 4148 Taylor Boulevard from 11 am to 3 pm, and make sure you come hungry. There will be plenty to sample and see, lots of fresh food items to enjoy and a festival feeling in the air. The market is open to families and members of the community from all over, so this is a good way to socialize while you're shopping. Stop to speak to some of the local chefs and farmers who will be there to buy and sell goods, and have fun buying the freshest ingredients for your next great meal. Taylor Boulevard is the boundary for the Beechmont neighborhood, one of the city's historic communities. Go see more of it this September, and see if you're inspired to start writing your ow history here. Beechmont is home to the Iroquois Library, two Community Centers, multiple small parks and several schools. All these amenities appeal to the families who come to live in Beechmont among the historic homes and shade trees. The neighborhood is just outside of the sprawling Iroquois Park, and mere blocks away from world-famous Churchill Downs. The location alone makes Beechmont a perfect place to live, but it’s the homes that really make people fall in love with this neighborhood. Many houses in Beechmont were built right at the turn of the century, and you'll see early American architecture all over this community. Shop at South Points this September, and then breeze through Beechmont. One you see the real estate here, you'll want to shop for more than ingredients for your next meal.